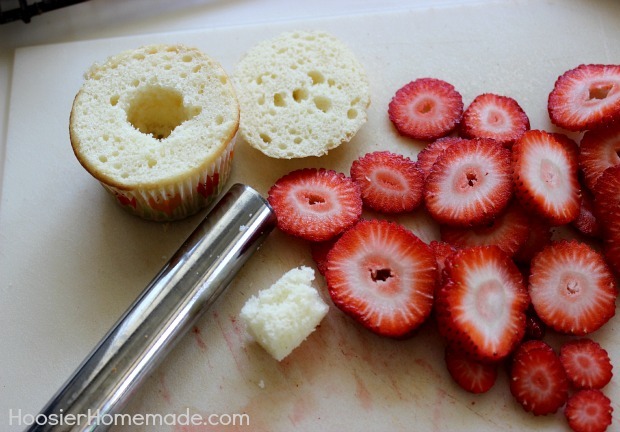 Every time I pick up a strawberry I can’t help but be consumed by a flood of memories. 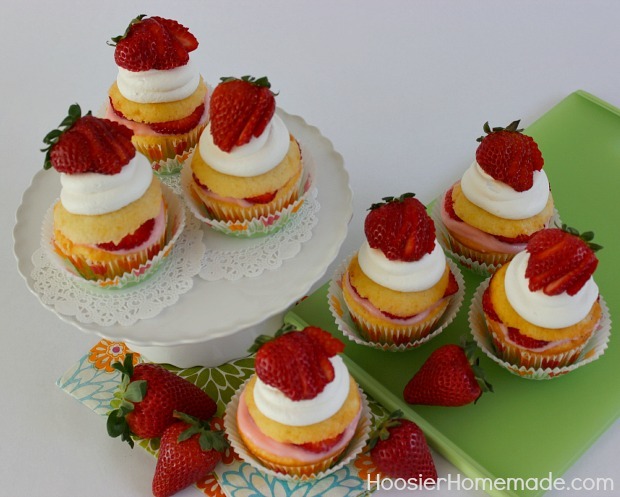 One of my goals when I started Hoosier Homemade was to create and share memories of my life with my family of four men. As you well can imagine it can be difficult at times to sway the male species towards that end but every now and then they will surprise me. 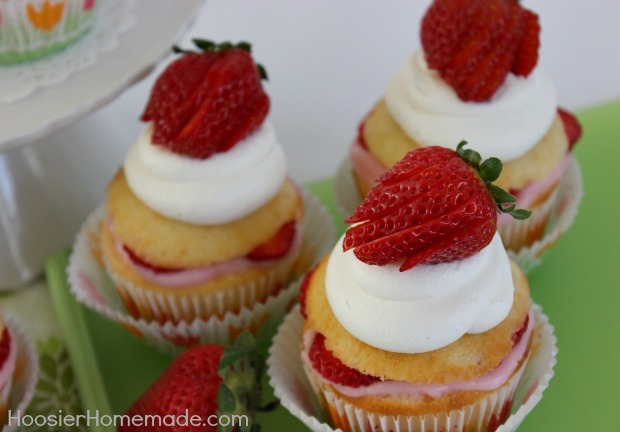 Some of our greatest memories as a family come from when the boys were young and their grandparents were still alive and the times we shared Strawberry Shortcake with fresh strawberries from the garden. 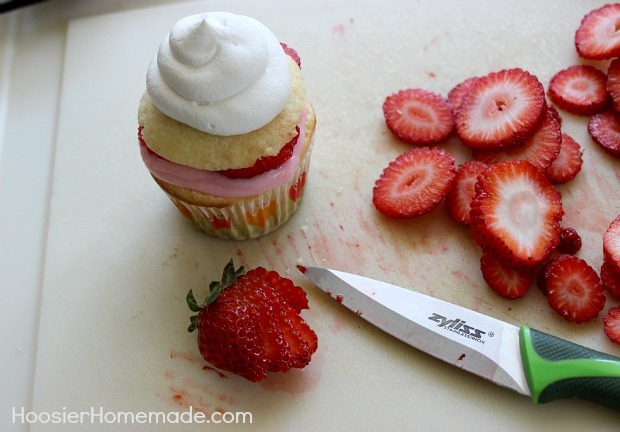 So as you make these Strawberry Shortcake Cupcakes I hope that you can build memories with your family you will cherish as much as we do. 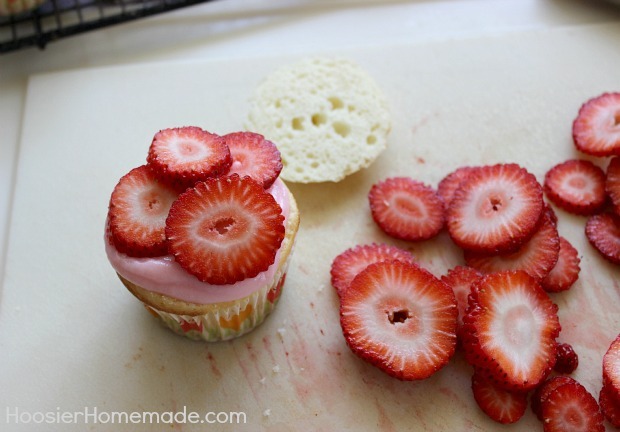 I’m honored to be a part of the 2013 Kraft Tastemaker Community, I am teaming up with Kraft Foods to share with you recipes using everyday ingredients that are sure to please your family! I have to give credit to my parents for instilling in me the passion and creativity I have, my mother loved flowers and shared that with many people. My father loved his yard and garden, especially his strawberries. We would spend lots of time with them, almost daily if truth be told and the boys loved every minute. Especially the time they would spend with PaPa helping him with his strawberry patch. 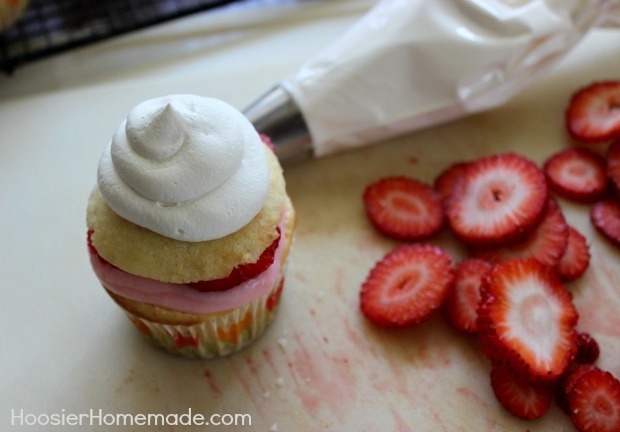 These Strawberry Shortcake Cupcakes begin with a rich French Vanilla cake mix, filled with JELL-O Strawberry Creme Pudding and topped with the new rich and creamy COOL WHIP Frosting. 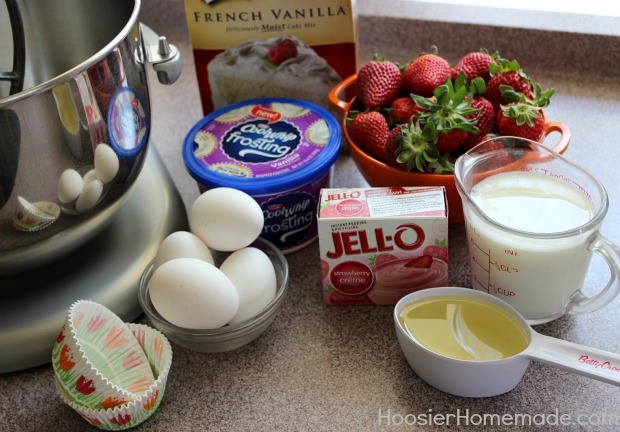 Along with the French Vanilla cake mix and the eggs, milk and oil for it, you will need JELL-O Strawberry Creme Pudding, Strawberries and COOL WHIP Frosting. 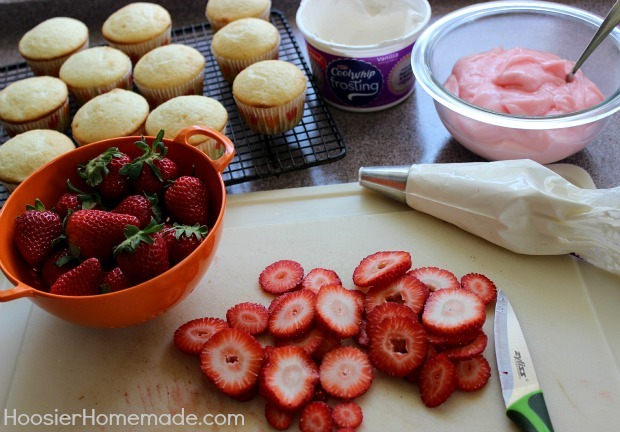 After the cupcakes are baked and have cooled, and the pudding is set up, it’s time to assemble the Strawberry Shortcake Cupcakes. 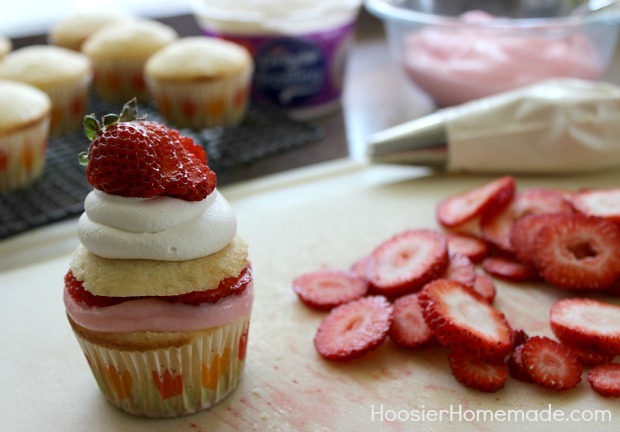 These Strawberry Shortcake Cupcakes are the perfect Spring Dessert! 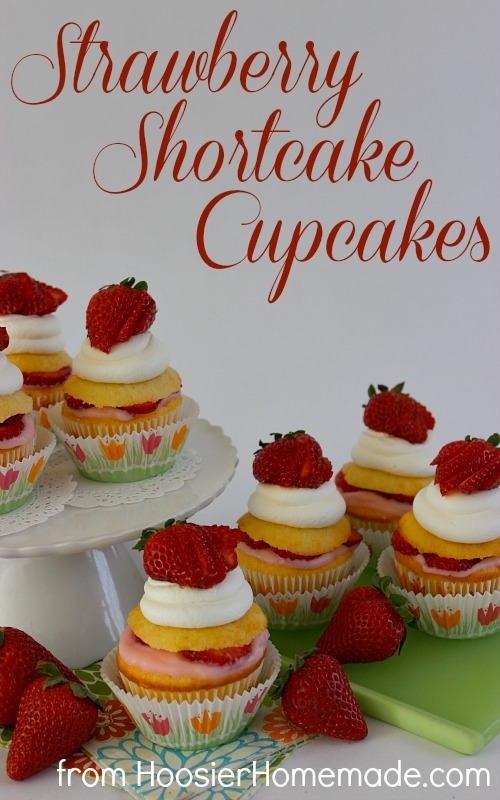 You could serve them for Mother’s Day, a birthday celebration, or even a girl’s night out. Everyone loves them! 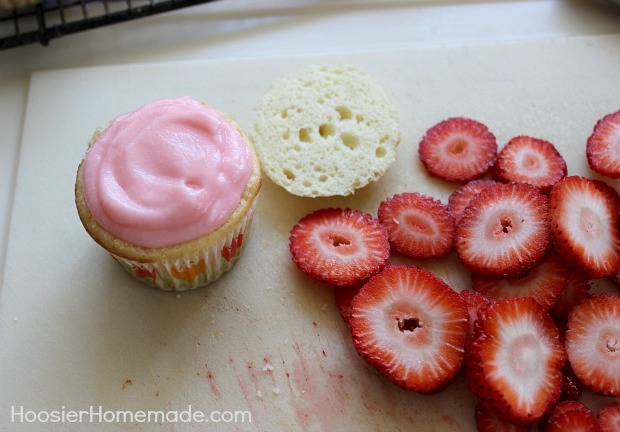 These cupcakes are perfect to serve at a Spring party, Mother's Day, Birthday celebration or even Girl's Night Out. 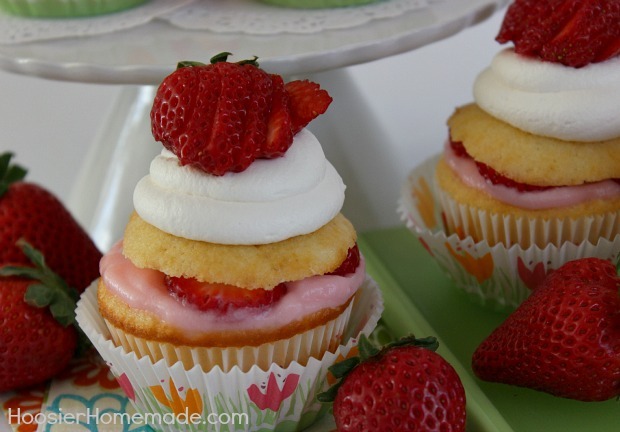 The way these are layered is so cute!